Following a six years of successful joint venture operation, Granit Polus Group and Heitman European Property Partners sold Arena Centar Shopping Center with all additional surrounding land plots. The new owner sees great potential in one of the biggest retail centres of Croatia and planning to improve the area though the additional plots. The New Europe Property Investments PLC – NEPI – has further strengthened its presents with this acquisition in the Middle-East Europe region.Arena Centar is situated in Zagreb, Croatia, that opened in November 2010. The GLA of the shopping centre is 62,100 m2 and it contains more than 220 retail units with numerous international fashion brands. 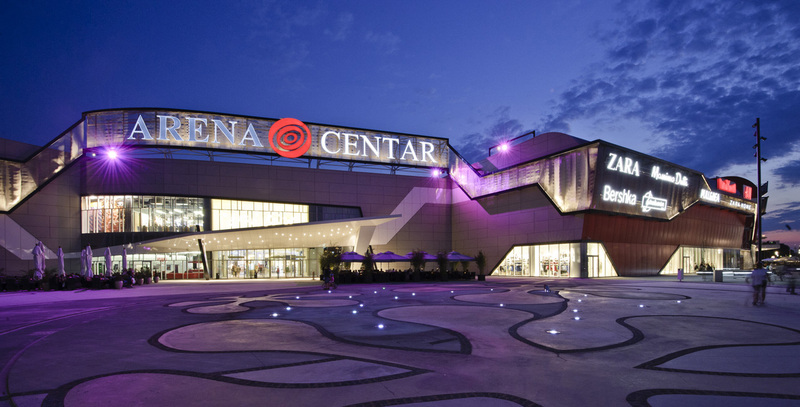 NEPI provided the best offer to acquire Arena Centar in 2016, and the transaction was completed within one months, thanks to the smooth cooperation and the commitment of both parties. The additional land plots will allow the extension of the shopping centre, and can also support a variety of stand-alone developments. Zsolt Szabó, the CIO of Granit Polus Group added: “We have closed the transaction exceeding 235 million EUR with NEPI in less than 3 weeks. The purchase price reflects the tendency, that due to the low bank interest rates a huge amount of liquidity is searching for its long-term and safe place, rather in shopping centres, which provides higher yield. This is good news for Croatia and also for the other countries of the region.